We’ve reviewed tons of apps developed by Kdan Mobile Software in recent months, includingPDF ConnoisseurandPocket Snapper, as well as Noteledge, which we gave a 9.5/10. As I’ve written in the past when talking about their library of apps, the developers have distinguished themselves by developing pay-to-play apps that look great and offer stellar performance. Once again, Kdan hits it out of the park. This robust PDF rendering engine allows you to quickly capture and view just about anything (images, Word docs, etc) then convert them into PDFs. PDF Reader-iPhone Edition lets you markup, highlight, and sign your documents, and then share them through various cloud services. The user interface is shocking intuitive, exactly the kind of controls and UI we’ve come to expect from the top-tier App Store apps. 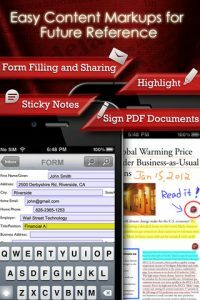 The scanning feature is wonderful and crisp, the ability to backup and transfer files is great, and there’s a great freehand feature you can use to sign documents on the go. But in addition to an already amazing iPhone app, there are all these minor touches that take it to the next level. For instance, you can search on Google and Wikipedia without closing the document you’re reading. You can also use Air Play, and use a built-in dictionary. 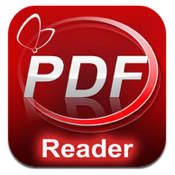 The latest version (Version 3.9) of KDan’s PDF Reader came out on May 27th. It includes augmented rendering speed, synching with iCloud (and support for synching across multiple cloud accounts), upgraded PDF annotation tools, and more intuitive controls. You can now also import images from your phone and save images as PDF files.